A few days ago, a package arrived from Cooper City, Florida that had my name on the outside and a whole bunch of hockey relics on the inside! For those that don’t know, I often like to move tradebait along to those who could actually use those cards while asking for little in return. Over the past few months, I had sent a few packages to Mario at Wax Heaven containing cards of Jose Cruz, Andrew Miller (one of those autographs was from me), and even this amazing dual autograph. Ever since the first package went out, Mario has been looking to hook me up with something in return. Now because I mainly collect just Martin Brodeur, Paul O’Neill, New Jersey Devils, and (to a lesser extent) New York Yankees, and have a pretty extensive collection for each, it can be difficult to find something I need. In fact, one blogger even said that finding me something was like “shopping for the guy who already has everything.” I’m not sure how true that is, but Mario definitely found a way to pay me back for my continuous generosity. The lot included these six cards, along with a couple other Martin Brodeur inserts and a couple other relics from SPx and Upper Deck. If any of you hockey loving bloggers out there can use anything, let me know. Otherwise, these cards will likely be headed out to a longtime trade partner in Canada who hooks me up with tons of Brodeur items every time we trade. P.S. Mats Sundin and Curtis Joseph are on the other side of that “2 on 2” game-used card. I’m sure a lot of you have already seen this post on Wax Heaven, but I thought I’d pimp this brand new blog out a little more. Earlier this morning, when checking out my WordPress Dashboard, I was very pleasantly surprised to find out that I had some hits from a blog with the URL “90sboxbreaks.wordpress.com.” I visited the site and found out that it was started by one of my readers, Tim. This man not only runs a great site dedicated to first baseman Tony Clark, but now runs a great blog which examines the wax of yesteryear. His debut post looks at 1994 Stadium Club Series 1. Check out this awesome new blog here and show him the love that you do me. I guarantee that you won’t be disappointed. Before they guaranteed a parallel per pack and included autographed “rookie cards,” Topps Chrome was a much simpler, yet collectible set that produced some extraordinary inserts. 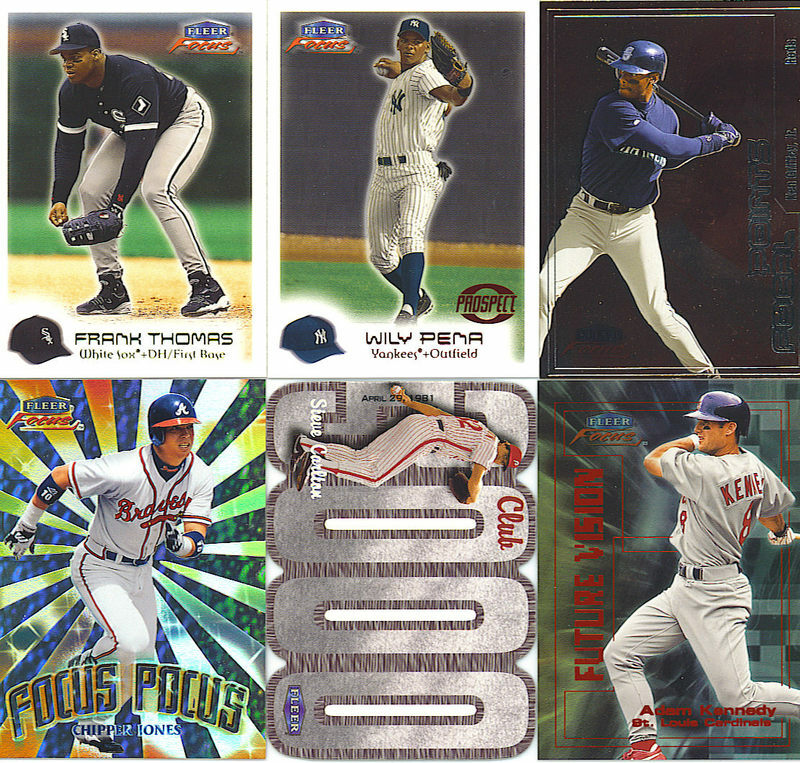 Today, I shall review a box of 1998 Topps Chrome Series 1. As is the norm with Topps Chrome, this product mirrors the set and a good number of the inserts featured in the regular Topps set of the same year. A box can be had for under $35 and in my opinion, certainly delivers for the price. It helps when you get lucky and smash the odds a few times, like I did in this box. 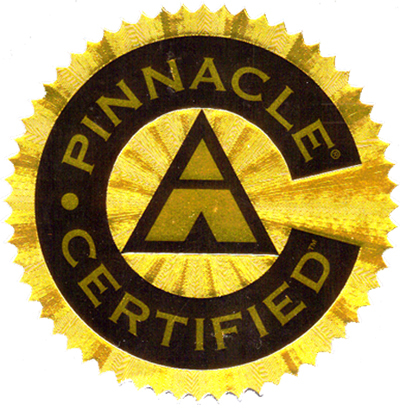 Check it out…. Base set: The Series 1 base set is comprised of 281 cards. Well actually, the cards are numbered up to 282, but then there’s the vacancy in the number 7 slot in honor of some Yankee player. I received 83 of the 281 base cards, with 4 duplicates. There are several subsets mixed in which feature prospects, draft picks, and highlights of the 1997 season, including the World Series. If you’re reading this Mr. Alejandro, that card on the top-right of the scan is a shoutout to you. Also, I have to point out a classic photograph on card 146, Jose Guillen. He is shown standing outside Three Rivers Stadium, next to a statue of Roberto Clemente and emulating his pose. I’m not a fan of Guillen by any means, but this card is awesome, and one I had never seen before!). Baby Boomers (1:24 packs): All of the insert sets found in this product (refractor versions aside) are seeded about 1 per box, so these will be randomly listed (if you’ve been paying attention to my blog, you’d notice I usually list inserts from the most common to the most scarce). The first set, entitled Baby Boomers, features the rising young stars of the time. Some of these include Nomar Garciaparra, Derek Jeter, Andy Pettitte, and Jose Cruz, Jr. The cards feature a dark blue, almost purplish background with graphics that resemble fireworks. There is a refractor version that falls 1 in every 72 packs on average. In this box, I pulled both a REGULAR AND REFRACTOR version of Andruw Jones. Boomers, huh? Knowing the companies, if this set existed today, there’d probably be a super-shortprinted card of Chris Berman (AKA Boomer) in there somewhere (with a horrible photoshop job of course). Ok, enough of that. 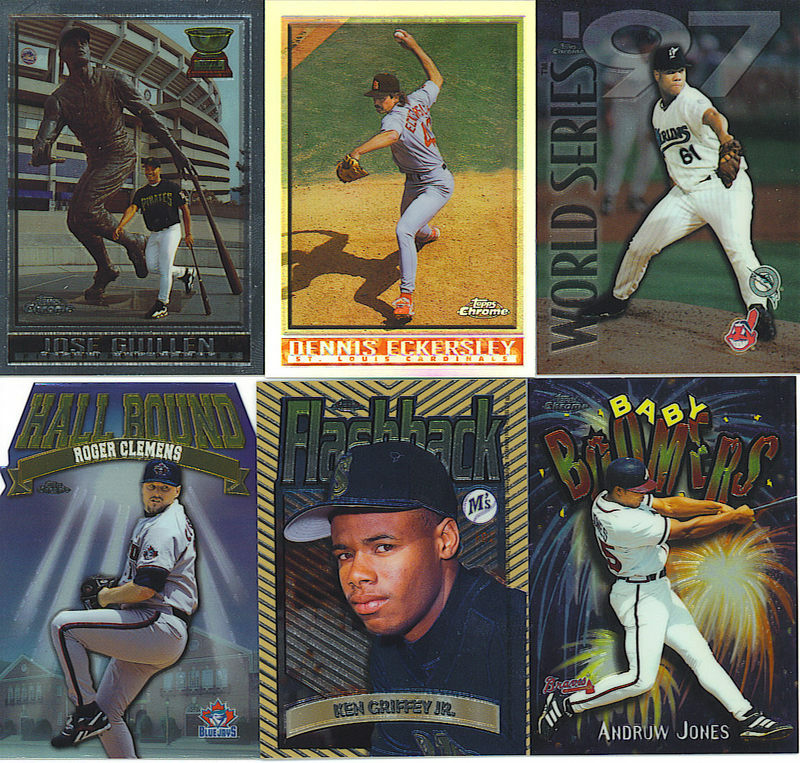 Flashback (1:24 packs): Flashback was my personal favorite insert set of the bunch. It’s simple yet effective. One side features a current photo of a superstar veteran. The other side features a photo of said veteran when they first broke into the league. Check out the Ken Griffey, Jr. Remember when he was destined to be the king? While I didn’t scan the other side of the card, it should be noted that the sides look nothing alike. The “old school” side has the set’s name in yellow block letters and there’s this strange “yellow-V” theme to the card. I know, the last thing anyone would want to be reminded of is the horrible uniforms worn by the Vancouver Canucks. The “new school” side features the set name in a 3-D style of writing with a purple background (which was popular in this product). Some other players in this set include Barry Bonds, Tony Gwynn, and Cal Ripken, Jr. The refractor version of this set is found 1 in every 72 packs on average. Final Thoughts: I think you could probably figure out that I was extremely pleased with this box. In a box where I’d typically hit about 6 inserts, possibly 7, I received 8. The inserts I pulled certainly weren’t short on star power either, even in my basic refractors. When packs have only 4 cards each, it’s typically not good to have a pack’s worth of duplicates in your box when the set is so large. In comparison, my Bowman Chrome and Stadium Club Chrome boxes each had no duplicates. However, this was just a very small flaw which was basically drowned out by the awesomeness of this box. If you liked what you saw here, I’d definitely suggest trying a box. They’re cheap, a blast to open, and everything looks great! As always, thanks for reading and good luck with your own box breaks!